Sup, this is a new car. So, this car was in progress lat year where i mostly sucked at modeling/working in blender. So back then i asked PaintHeart to remodel Sprinter for me and so he did (he also paramised it). 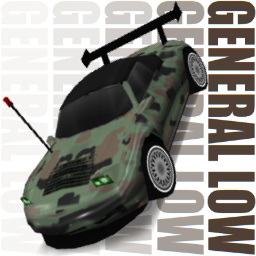 This car was based on an old repaint for Sprinter, found in Santi's skin pack. I thought it was cool so i wanted to rework it. And here it is. This comes with a set of parameters for road and drift racing. Hope you like it. Cheers Xarc for the carbox.